Liveright Publishing Corporation, 9781631494086, 288pp. Why has American politics fallen into such a state of horrible dysfunction? Can it ever be fixed? These are the questions that motivate Michael Tomasky's deeply original examination into the origins of our hopelessly polarized nation. "One of America's finest political commentators" (Michael J. Sandel), Tomasky ranges across centuries and disciplines to show how America has almost always had two dominant parties that are existentially, and often violently, opposed. When he turns to our current era, he does so with striking insight that will challenge readers to reexamine what they thought they knew. 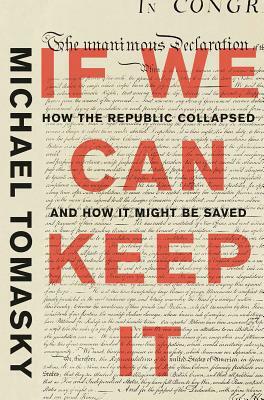 Finally, not content merely to diagnose these problems, Tomasky offers a provocative agenda for how we can help fix our broken political system--from ranked-choice voting and at-large congressional elections to expanding high school civics education nationwide.